When Hasslein Books announced that they were publishing a new book detailing the entire Watchmen chronology, they were kind of enough to allow DC in the 80s a glimpse of their review copy so we could let them know what we thought about it. 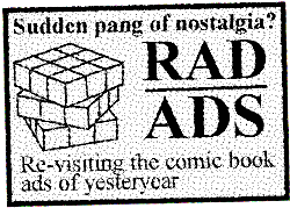 I kind of feel that the author, Rich Handley, can relate to my anecdote. 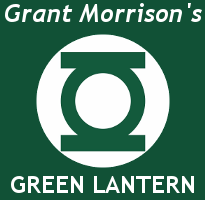 Handley explains in his foreword that his entry to the genius of Alan Moore was via Batman (or more accurately, The Killing Joke), and it ultimately led to him sweeping up every Moore comic book publication that he could find. In Handley's own words, "I didn’t need to be hit over the head repeatedly to realize that I’d found a new favorite writer" and later cites Watchmen as his favorite body of Moore work. The fictional universe introduced to us in 1986's Watchmen mini-series is incredibly engrossing... and criminally short-lived. The twelve issue mini-series fueled our imaginations by teasing us with hints of untold adventures that we'd never be privy to. 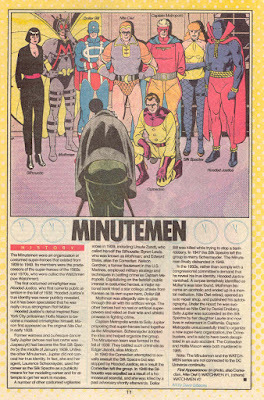 After the publication of the mini-series there were a few Who's Who entries and several DC Heroes RPG supplements available for fans looking to piece together more of the Watchmen history, but that was pretty much it. Behind the scenes, there were a few attempts at a Watchmen screenplay in the late 80s and early 90s. In 2005, the DC Comics Absolute Edition of Watchmen was released - complete with additional background info on characters, notes on the original creation process and essays by Gibbons and Moore. The Absolute Edition was simply a warm-up for the main event, however, as 2009 saw the theatrical release of the Watchmen film (directed by Zack Snyder) and the creative/merchandising floodgates would soon be re-open again for all things Watchmen (video games, comic book prequels, motion comics, strategy games, and possibly even a TV series). This is a an exciting time to be a Watchmen fan, and it can be easy to get lost in everything that's been going on. 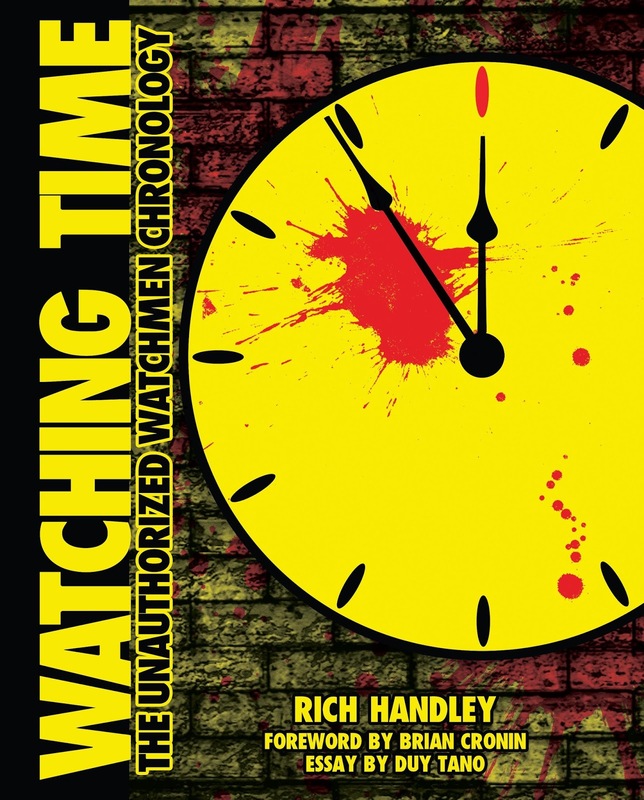 Thankfully, Watching Time: The Unauthorized Watchmen Chronology has you covered. Weighing in at 350 pages, this is an incredibly comprehensive and detailed guide to everything Watchmen-related since 1986. When I say everything, I mean EVERYTHING: from the creation of the 1986 mini-series up to this summer's 2016 DC Rebirth appearances (Rich Handley explains in his foreword how the DC Rebirth material was just being announced as his manuscript for this book was going to print). Handley's collection of Watchmen material is all-inclusive and sweeping - not just content to document the film, comics and DC Heroes RPG chronologies, he delves into everything from movie tie-in video games to Andrew Salmon's short fiction. Handley dug deep through really obscure Watchmen material so you wouldn't have to. That alone is worth the price of admission. I appreciate that the author is quick to point out a few inconsistencies between the different mediums (namely, the original 1986 mini-series and DC Heroes RPG supplements versus the video games and Before Watchmen prequel comics), but he handles it amicably and even goes so far as to point out which sources come directly from Moore himself, should you not consider certain aspects as cannon. My favorite parts of this book included the chronological history of how the entire Watchmen concept materialized (written by Brian Cronin), the brief chronological summary of events that have occurred in the Watchmen universe, and, of course, the extremely detailed twelve-part timeline chronology of everything significant that has ever happened in the Watchmen universe (comes complete with an abbreviation key so you can quickly look up the source). This is a black-and-white book with not much as far as images are concerned. Handley is mainly interested in content and you're going to get a lot of it in an easily-digestible format. The book is easy to read, organized in a logical method, and quick to scan through. In short, this is everything you'd want in a chronological reference guide. For visual reference, the last twenty or so pages contain a black-and-white cover gallery of the materials cited in the book. Who would most enjoy this book? Most obviously, a Watchmen fan (such as myself). Anyone who has been reading and collecting Watchmen material for the past twenty-five years and wants to see how it all "comes together". I see this book happily accompanying the Watchmen reprint trade paperback and Before Watchmen collected editions on your bookshelf. You can find out more about how to order this book directly from the Hasslein Book webpage itself. Additionally, with Dr. Manhattan making a cameo in DC's Rebirth event, just about anybody who wants to get 'up to speed' on the Watchmen's rich lore will also want to pick this up. It's a good time indeed to be a Watchmen fan. Watching Time: The Unauthorized Watchmen Chronology just makes it easier to do so. This looks to be a great collectors item. I'm putting it on my wishlist.